Images are vital for a website to gain and retain the attention of the users. The photographs taken with modern high-quality cameras come with high definition (big image files), which are not suitable to use on the web pages as it is, which leads to high load time. In one of our previous posts, we had provided some simple tips to speed up a website. It concludes that compression facilitates the reduction of the image size hence, making it optimized for the website. Now, here at Templatetoaster website builder, let’s discuss some of the popular image compression tools available on the Internet, to help you for speeding up your website! What are Image Compression Tools? Image compression is a method where data is compressed especially, digital images in order to cut down the value of transmission and storage size. There are several such tools available which can help websites in their smooth loading. These tools help in pacing up a website’s functioning. In fact, research shows that for every additional second a website takes to load, it witnesses a prominent loss in the conversions. Therefore, these tools are a must when it comes to balancing the load speed and in turn, maintaining the SERP ranking. As it seems like a “ranking factor”, suggested by Google. “To make our results more useful, we’ve begun experiments to make our index mobile-first. Although our search index will continue to be a single index of websites and apps, our algorithms will eventually primarily use the mobile version of a site’s content to rank pages from that site, to understand structured data, and to show snippets from those pages in our results. Of course, while our index will be built from mobile documents, we’re going to continue to build a great search experience for all users, whether they come from mobile or desktop devices. Thus, let’s move ahead and witness the finest image compressor tools which are ruling the market these days. 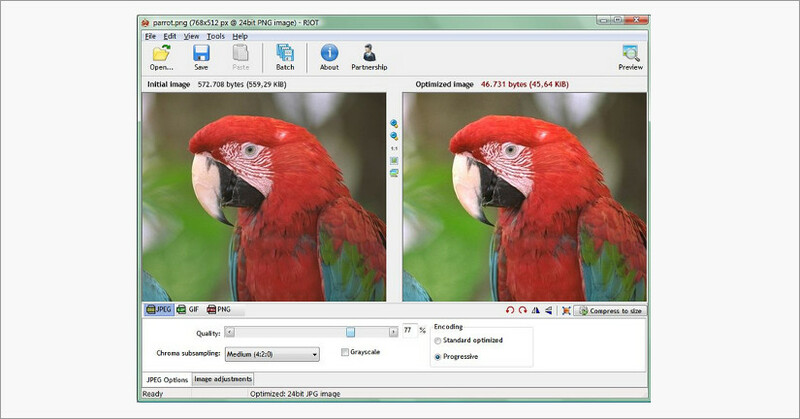 ImageOptim is a lossless image compression tool. It does not hinder the quality an image while reducing its size. It is pretty smooth and efficient to get a hand on. Once you download it, all you need to do is ‘drag and drop’ the images and compress them as per your convenience. If you are operating on Mac system, then this is the blogging tool one must have to produce ‘web-ready’ images. Supports multiple image formats like PNG, JPEG, & GIF animations. Openly available and is completely free. It strips down the metadata like Geolocation of the selected image, EXIF etc. OptiPNG is a small command-line tool equipped with PNG optimizers. It can magically shrink the size without any further loss. It transmutes images with external formats like BMP, GIF, PNM and TIFF & also acts as a PNG integrity checker. Examines several parameters for the sake of providing smallest image size. Multiple images sometimes get defined on the same command line. Functioning is unpredictable; sometimes no modifications take place while, at times, shrink some files by 20% or so. jStrip is a tool pertaining to an open and free source which helps in cutting the chosen image size without having to forego its quality. It does not modify the data of a compressed picture thus, less bandwidth is utilized by webmasters. No modification in the optimized image data. Also notifies when no changes are required. Overwrites the basic file with stripped version. 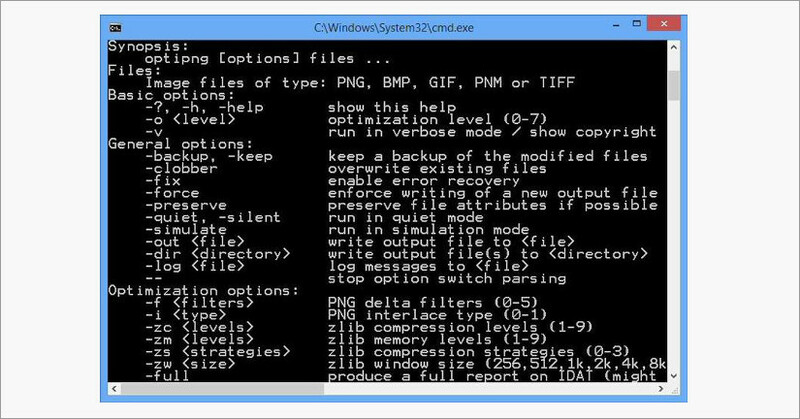 Caesium Image Compressor is a free image compressor which is compatible with windows. It can compress PNG, JPG, JPEG & BMP images while providing the flexibility to determine the compression level for images. Handiness to opt different compression levels. Provides you the comparison preview of originally uploaded and compressed images. Lets one recognize the space they’ve saved due to compression. PNG Gauntlet is a tool specialized in optimizing PNG files and available for windows only. It is suitable for converting GIF, JPEG, BMP, and TIFF image files into PNG format. To get the possible smallest PNG images, it unites PNGOUT, OptiPNG, and DeflOpt techniques. It has only a few options for stating preferences. An effortless tool to employ. You can compare parallelly in real time. Notably reduces the PNG size making them downloadable at a faster pace. Rapid processing on multicore CPUs. It can optimize animated PNGs. Radical Image Optimization Tool ( RIOT ) possess the ability to optimize GIF, PNG, and JPEG files. It renders flexibility to upload files to batch mode while providing one a free-pass to determine the number of colors, contrast, brightness, gamma, invert and metadata settings for all your images. The basic tools like pan, zoom, rotate and flip are also present in its interface. It’s GUI is apprehensible, but may puzzle irregular users. It can also perform the function of a resizing tool. It can assist various resample filters like Lanczos3, Catmull Rom, Bicubic, and others. 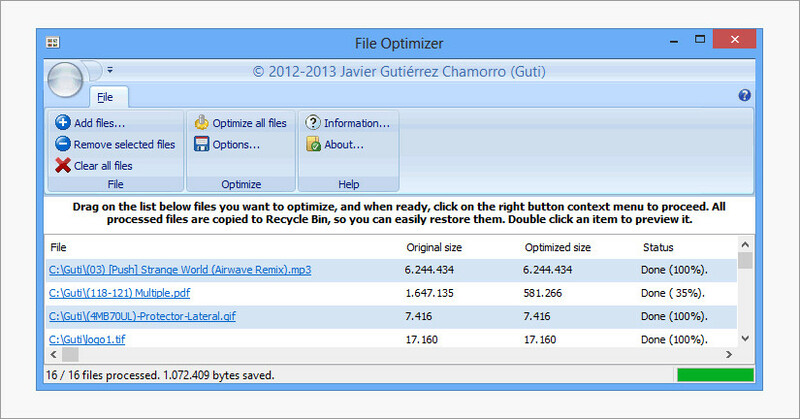 File Optimizer can compress almost any file format. It has a plain interface, in which a file can be added simply by dragging. In the column, the original and compressed picture sizes with relative percentage size of compressed images can be seen. Spare metadata and other information are removed by decreasing the file weight. It has a rooted, upfront and user-friendly interface. It provides terrific results at compression which can’t be judged by the look of its interface. It replaces the source file but it is directed to Recycle Bin which makes it retrievable yet this can be a trouble. Currently, it’s interface is only confined to the English language. Cookie as meant in Swiss-German language, Google’s Bonus: Guetzli is a new open source JPEG encoder created by Google itself for digital images and web graphics. This freshly released algorithm provides high quality and visually lossless image compression. You can get it from here. It claims to deliver quality pictures which are approximately 35% smaller than any other available methods for that matter. It has been developed with an aim of providing a smooth user experience in terms of image compression. Since images offer the biggest contribution to the web page sizes; optimizing them is an essential part of improving your site’s performance. Guetzli is also said to be very similar to Google’s Zopfli, in terms of its algorithm. For a in-depth reading on more about Guetzli’s functionalities, you can refer to this post. Trimage is a cross-platform tool available to reduce your PNG, JPG files by using optipng, advpng, jpegoptim, and pngcrush as per the required file type. Trimage losslessly compresses all the images on the highest level of compression available along with removing EXIF & other metadata. Easy select & drop facility. Well, these were some of the ideal offline image compression tools available. Now is the time to explore the online image compression tools. TinyPNG is a free web service to compress images. You just have to select an image and simply drop it onto the page and it will provide you the link to download that particular compressed image. It has a really simple nice interface & can compress up to 20 photos with a maximum 5 MB size limit for each file. If you Sign Up for the TinyPNG Web Pro version then your Pro account will entitle you a one-year membership which will allow you a compression of 20 valid images at a given time with 25 MB of size limit of each file. It allows you to upload up to Twenty images in single attempt. Quite convenient to download all and export to Dropbox options. There is no way to adjust the reduced quality of an image after compression. Image size is restricted to 5 MB only. For increased size, you require a pro version. 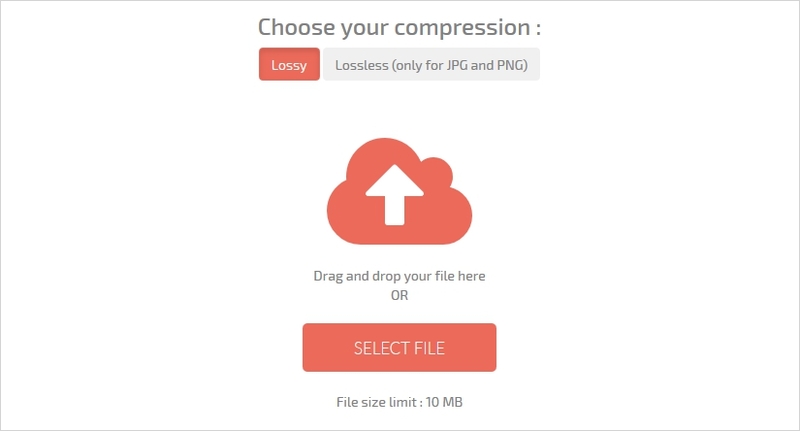 Compressor.io is another powerful tool for compressing images. There are two compressing modes available to choose from i.e. Lossy & Lossless. Lossy is capable of compressing an image but you might have to compromise with the quality. Whereas, if you are employing the Lossless mode then it will give you low quality images. Lossy support JPEG, SVG, PNG, GIF and Lossless support mere PNG and JPEG formats. Compression.io does not support the bulk upload, so, each file has to go through compression individually. The maximum size allowed is 10 MB per file. You got numerous options like to your Google Drive, Dropbox, or directly download the file and save it, once it is fully compressed. You got a crisp image. The major drawback is that you can upload a single image at a time. Compressing a large number of images is a tedious task for Compressor.io. No manual image quality adjustments. Kraken has amazing features for image optimization. But the most interesting and distinct feature of Kraken is that it offers you a secure Kraken.io account for easy access (after you sign up) where you can store your compressed images. You can compress multiple files in one go & can download all the compressed files in the .zip file in a single click. The pro version of Kraken has advanced features to offer like resizing an image, unlimited image size and many more. It permits you to upload 20 images. Simple, saves time with its mass upload. The main downside of the Kraken is to let you upload your file with size 1MB in the free version. Very few features accessible in the freely available version. For advanced features, you required having a pro version access. JPEG Optimizer works best for both the purposes of resizing and compressing images. It is simple & reliable online image compressor tool. The optimization process of JPEG OPtimizer is quite simple. JPEG can compress your desired images but keep in mind that it will lose on quality. 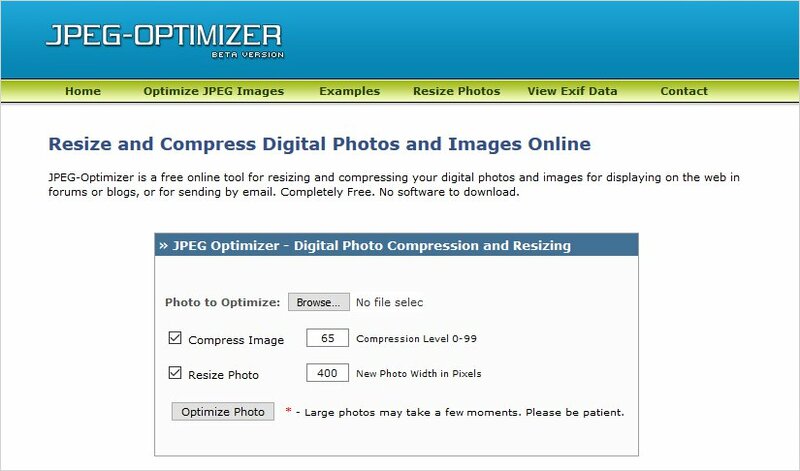 JPEG Optimizer reduce the image size and let it load faster on the site. 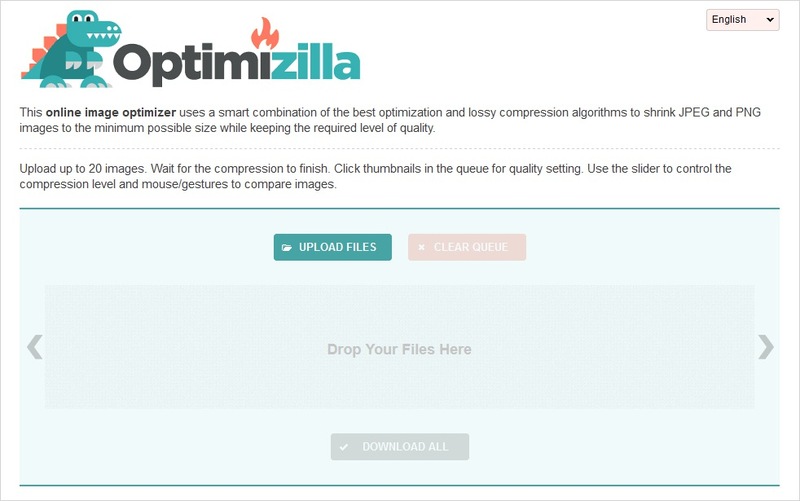 Optimizilla is another online tool images compression with lowest image size possible. You are authorized to freely compress PNG & JPEG files quickly and seamlessly with it. Download your files one by one or in a zip file as per your choice. It allows optimization of at max 20 images in one go. Optimizilla gives you a preview feature to compare your enhanced image with your original image. Freedom to pick the level of quality. Simple drag & drop option. One more impressive image compressor tool Resize Photos which lets you resize your photos to use them in your email, website etc. you can easily compress or resize your JPG, PNG, GIF, BMP, and PSD files for free. Free online tool for resizing and optimizing images. It permits you to add some special effects to the improved image. Add a caption to the new improved version of your image. Many other editing options like Border, Reflection, Shadow, Rounded Corners, Rotate are available for better editing experience. 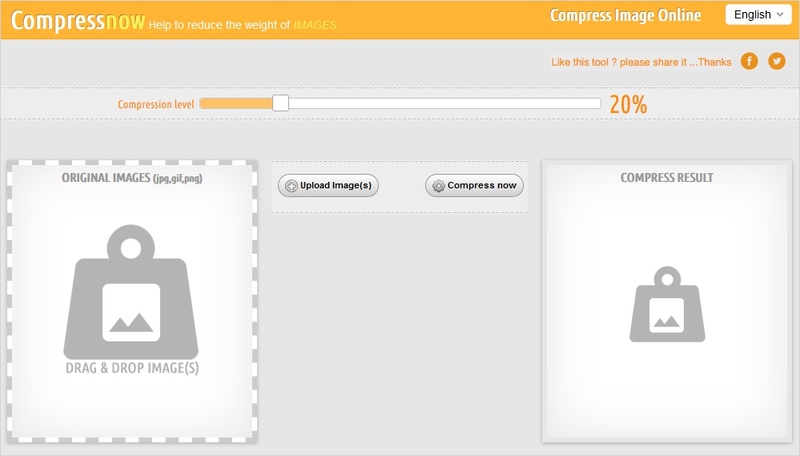 Free online image compressor tool to reduce the size. 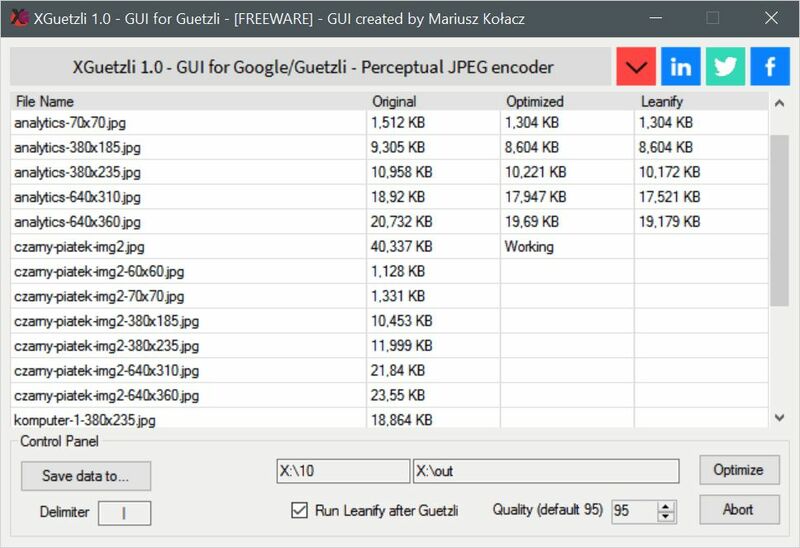 This tool helps you to entirely optimize JPG, GIF, PNG files to load them as fast as possible. It quickly transforms one image type to another image type. 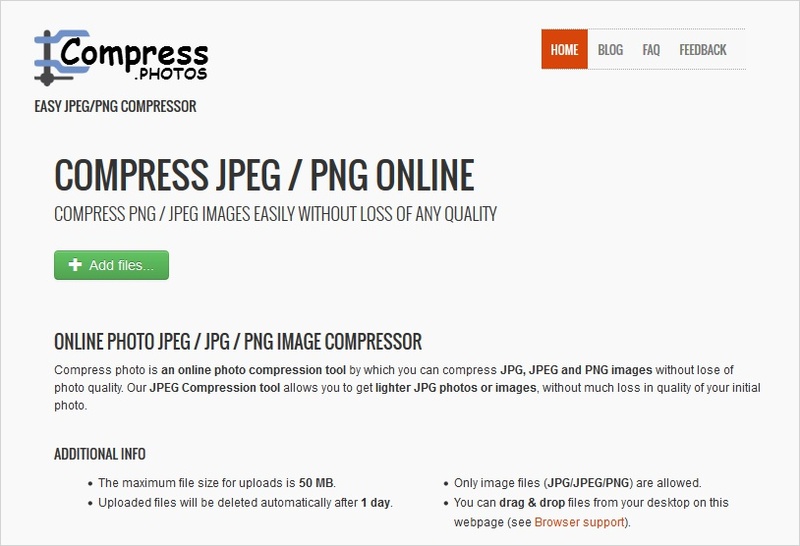 Easy to handle online compressor tool for PNG, JPEG, GIF, and JPG files optimization to get fit in with website or emails. You can manually set the level of compression for the selected image. Select up to 10 images straightaway and optimize them at once. You can choose image up to 9 Mb. Easy to use choose, select and drop style. 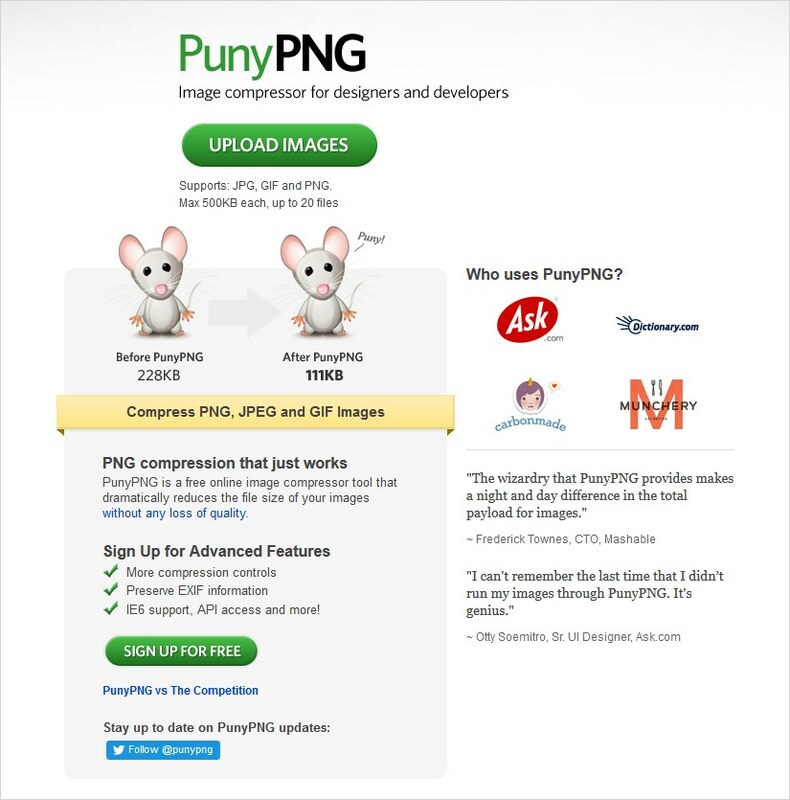 Puny PNG is a free online image compressor tool with cool image editing technique. It supports PNG, GIF, and JPEG file format. Upload maximum allowed at a time that too 500 KB each file. This is capable enough to give 20 compressed files of 500 KB each at once. It gives you lossless compression. An apt choice for serious developers and designers. To use the advanced features of Punny PNG, you are required to have an access to pro version. A Free version is also available for one month and after that, it takes a paid plan (not very costly) only then you will be able to continue utilizing the services. Compress Photo is an online image compressor tool available. This image compressor tool supports JPG, JPEG, and PNG format for compression without losing nature of image. It lets you upload a maximum of 50 MB images for compression. Uploaded files will remain there for complete 24 hours. Directly drop the selected file. At the max 50 MB size is allowed for compression. So, Which Image Compression Tools to Pick? We have two types of image compression namely, lossy and lossless which can be further used to describe whether a definite amount of data would be retrieved or not in the compression of a file. Lossy compression talks about deleting certain data which is present in the respected file, whereas lossless compression involves no such elimination. 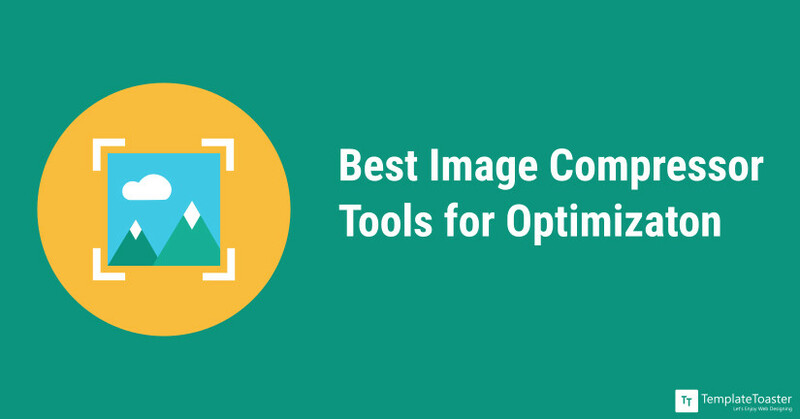 On account of electing any image compressor tools, you can adopt two ways, either by segregating options which one can avail from each tool or by drawing the comparison between the size and quality of optimized images obtained from each one. As per the quality, the compressed images have, all tools are rewarding. While pondering over the issue of image compression. It seems obvious to address the importance of themes which are employed to design a website. These web pages must contain modified and compressed codes in with the aim to accelerate the website’s performance. TemplateToaster Web design software harmonizes all these elements by providing themes that a user can design according to his/her preference. It generates themes whose code is optimized. Exercising such a technique is fruitful for any website in the long run. Its importance cannot be overlooked as page speed and the overall browsing experience are an important aspect to look forward to. So, this was a well researched and tested list of a few best image compressor tools to optimize images without losing the quality. If you have any image compressor tool which we may forget to include on this list please feel free to share with us via the comments section below. And don’t forget to share which image compressor you liked and worked with.